A Letter in Response to Proposed Gun Legislation in CT – more laws, more problems. I am a citizen of Milford, registered voter and veteran of the United States Marine Corps. I am also a local DJ who works 4 nights a week in local establishments here in Milford. I talk to a lot of people on a daily basis and have a pretty accurate sense of the social climate here in the area. And when I say talk, I really mean listen. I don’t try to talk over people or push what I believe onto them. I genuinely want to know how people feel about topics in the community. So most times I won’t even state what side of a particular argue or topic I am on. I believe this is what gives me a true accurate sense of how people feel. The reason for this email as stated above in the subject line is the recent proposed legislation aimed at guns, the owners and control. First off I would like to express my disgust in the way that gun control proponents are using the terrible tragedy in Sandy Hook as a platform to spread lies, fear and hate. These proponents were advocates of gun control before this senseless act of violence, and are using it to there advantage. 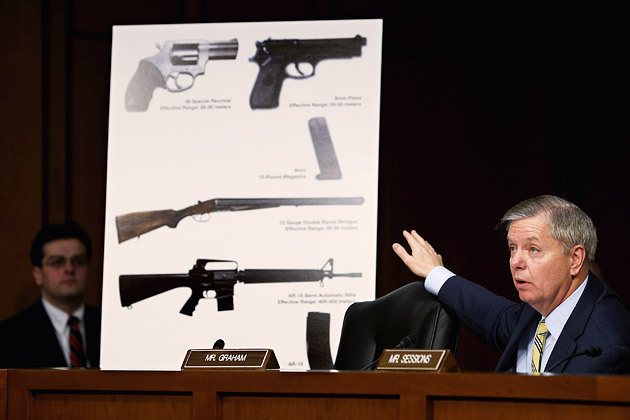 They are trying to blur the lines between fact and fiction when it comes to firearms. I personally disagree with this one. I believe it should be interpreted on a case by case analysis by law enforcement and the judicial branch. Thank You for taking the time out of your busy schedule to read my email. it really does mean a lot to me, and I would love to hear how you feel about these issues and why. Being very opened minded I value different opinions. Very well said, Brandon….I am proud of you….you must have some awesome parents!! I definitely do have great parents! From one CT resident to another; excellent letter. PreviousMy Experience as a Sheep.